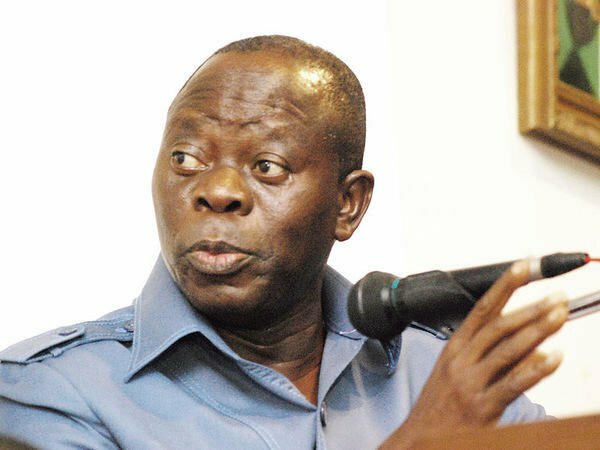 Former governor of Edo State, Adams Oshiomhole has stated that the campaigns for 2019 general elections will be interesting because his party, the All Progressives Congress, APC, will reveal to Nigerians how the alleged looting of the nation’s treasury during the Peoples Democratic Party, PDP, 16 years rule plunged Nigerians into poverty. Speaking while addressing leaders of the APC in Edo state, he stated that despite efforts being made by the opposition to allegedly misinform Nigerians about the activities of the APC-led government, the APC will win more states in the governorship election and more National Assembly seats. Oshiomhole, who recently received the endorsement of President Muhammadu Buhari and the APC caucus in the Senate and House of Representatives to succeed Chief John Odigie-Oyegun as the National Chairman of the APC, declared that Buhari will be re-elected due to his achievements. According to him, “it is our task as party activist to painstakingly explain to our people in the rural areas to understand who dug the hole that led to what we are experiencing today as a nation and the effort by President Muhammadu Buhari to gradually pull us out of that hole to the surface and begin to push and uplift us upward to that level in which every Nigerian will have to say I am a proud Nigerian. “And we must help our people to appreciate that the challenge of rebuilding a house that was rocked beyond foundation, to build complete new foundation cannot be an overnight work. What is important is that there is a commitment to refix and the President has broken new grounds which may not have been amplified to a level that the rural people can see them.